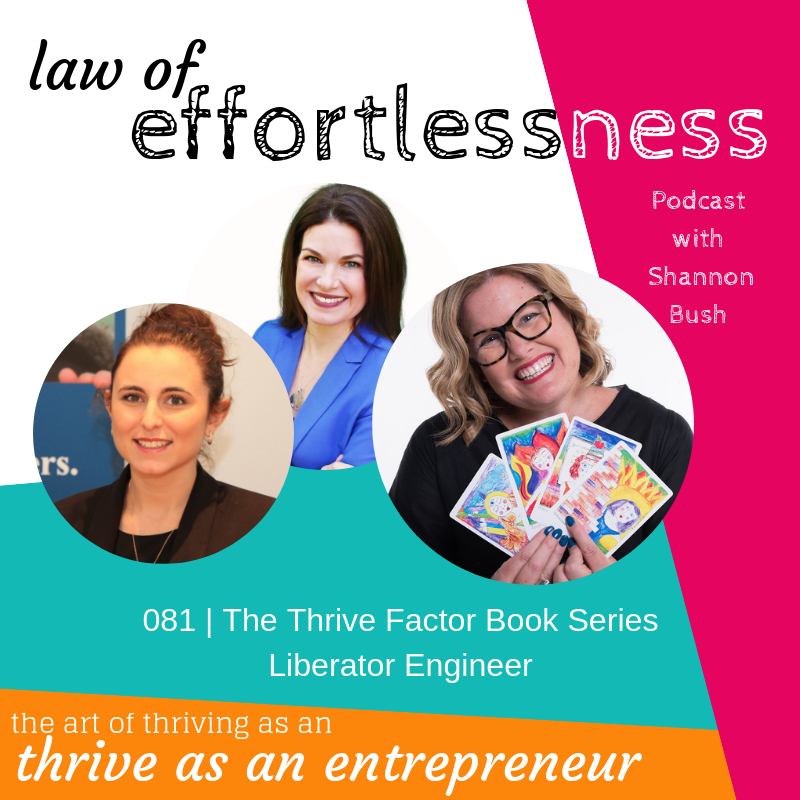 Welcome to episode 053 of The Law of Effortlessness Podcast with Shannon Bush, this episode features Shalini Nandan who teaches the art of advocacy in small business, and how to hold strong in the face of inevitable challenges. 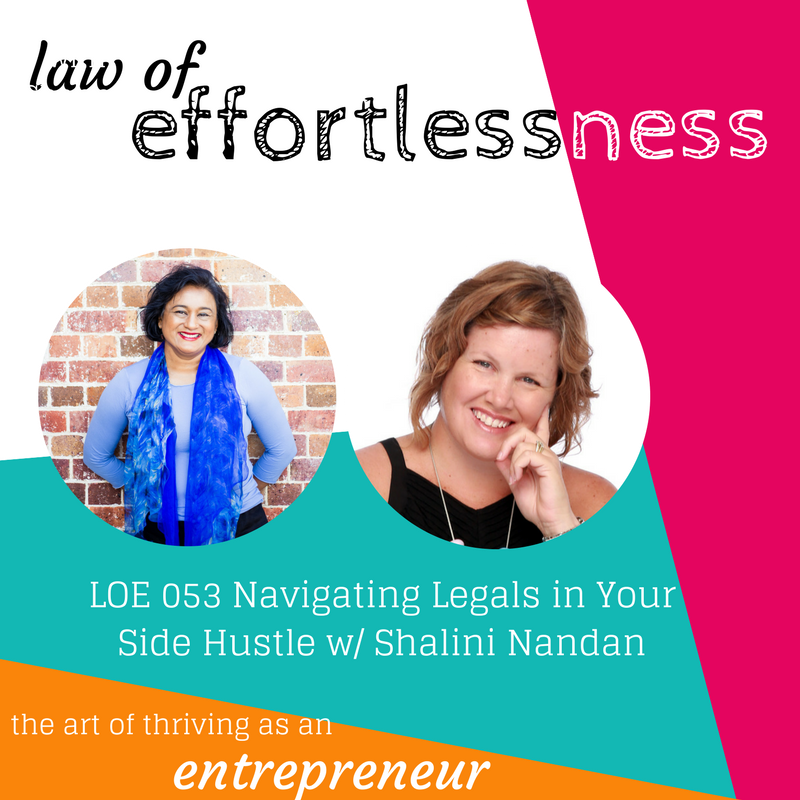 Shalini drafts small business legals – legal contracts so they become part of your business toolkit, educating your clients and taking the guesswork out of working with your ideal client. Shalini operates between Brisbane and Fiji and is a mother to a 26-year-old son living in London, and co-parents a 14-month-old who is teaching her the power of assertiveness and unconditional love. 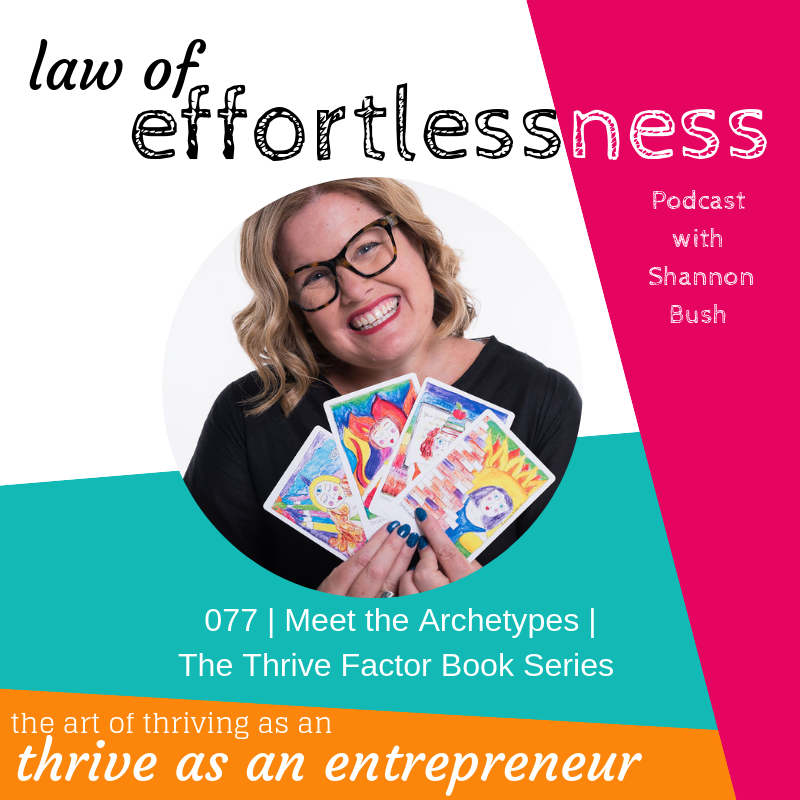 Shalini opens up about how she built her business from Facebook Groups, and having conversations with people and asking the simple questions like “what is it you’re doing?” and following her curiosity as well as asking very targeted questions to get you started with legals in your business. Connect with Shalini via her website here and on Facebook here. 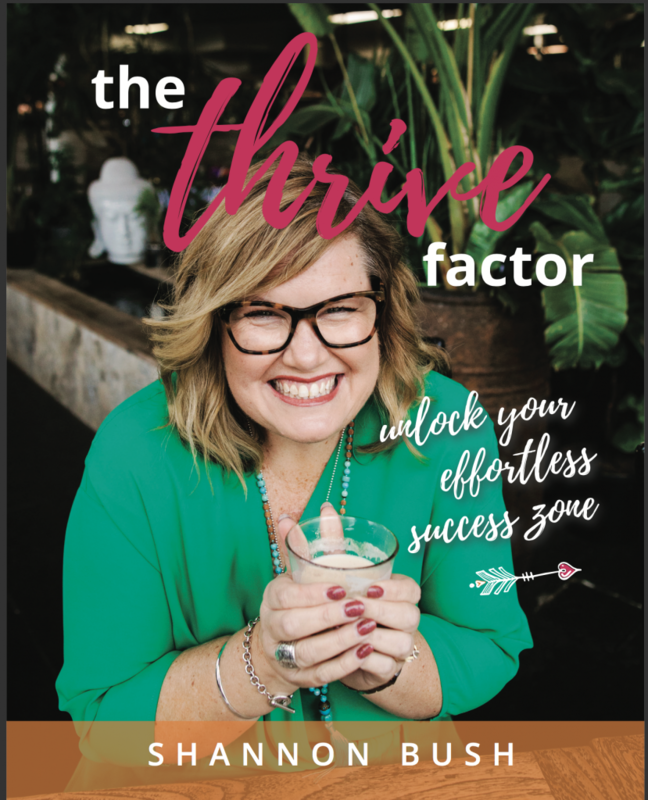 This entry was posted in Business Success, Business Wisdom, Effortless Success, LOE Podcast, Personal Leadership, Small Business, Success Resources and tagged Business, Business Coach, Business Coach Perth, business growth, legally shalini, magnetic marketing, marketing coach perth, marketing strategy on April 24, 2018 by Ashleigh Rae. Networking as a marketing strategy? You bet! Networking is, for many in business, a necessary evil. I get it. When I started my business in 2007 I had only ever networked in a corporate setting. 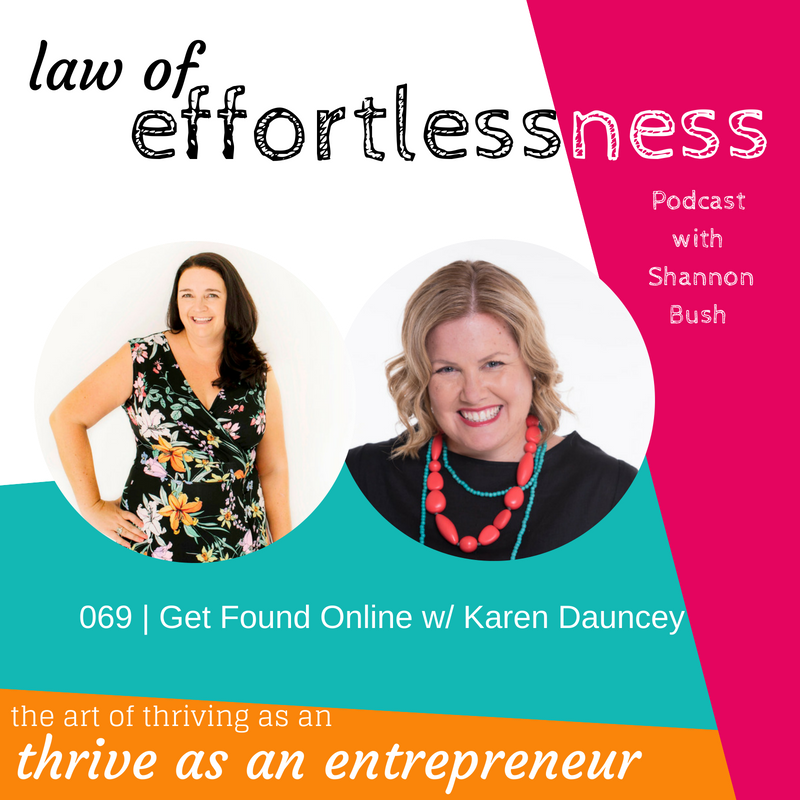 I learned quite early on that networking was a thing small business owners did often and through a desire to meet other entrepeneirual types I set about looking for great groups to connect with. It was easy to find local groups where I could go and do the meet and greet thing. Some were at breakfast, some mid morning, others at lunch or the “sundowner” evening events. It seemed there was a smorgasboard of choice. But how did you know wether what you were paying to attend, would be of value or not? I figured if I didn’t get out and try some of these events then I’d never know. So I showed up and did my best to mingle with bunches of strangers. I found at some events the reception was a little frosty. At others it felt clicky. While others seemed to be a free for all, with no organisation and pushy attendees. I didn’t like the experience much at all. 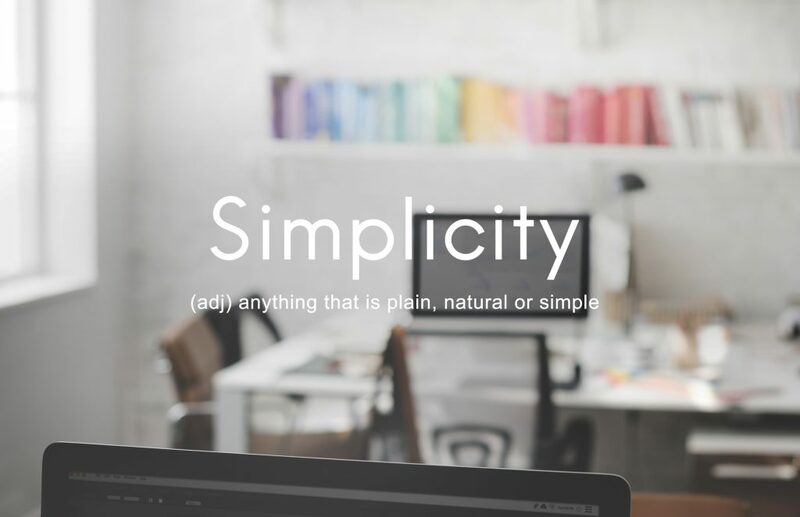 Online business was growing in interest at the time and platforms like Facebook had become an opportunity to connect with other business owners. But online networking wasn’t that much of a thing and if you got a friend request from someone you vaguely connected with online it felt a bit, well, creepy. I discovered quickly that when you found yourself at the wrong types of networking events they could totally feel like the most alien places you’ve ever found yourself. Totally setting of daydreamng and escape routes. Well that’s what was happening in my head. 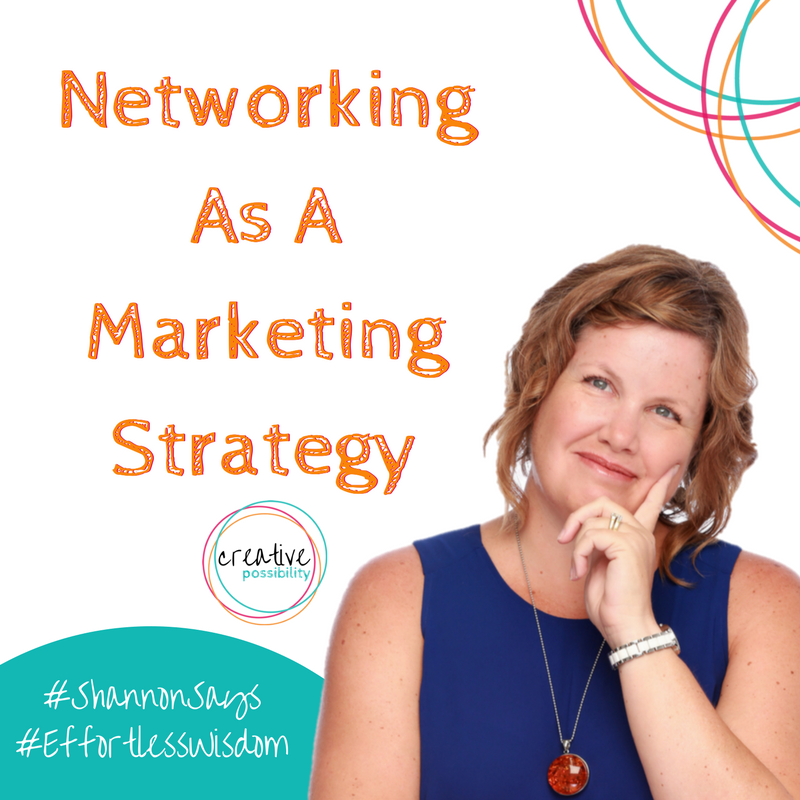 Over the next decade I came to understand the power of the right networking, with the right people, and how to turn those awkward moments into potential opportunities – for new clients, new referral partners, speaking or teaching opportunities, brand exposure, credibility building and more. 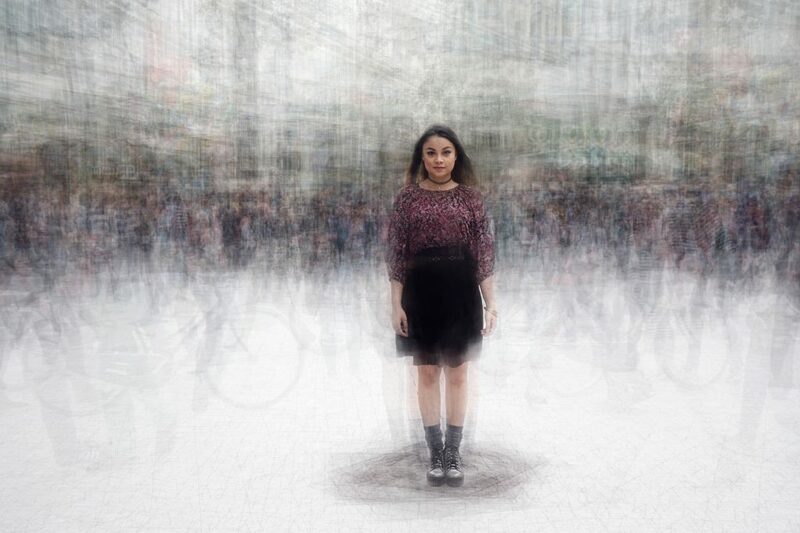 The wrong kind of networking event can leave you feeling stuck, with no escape! 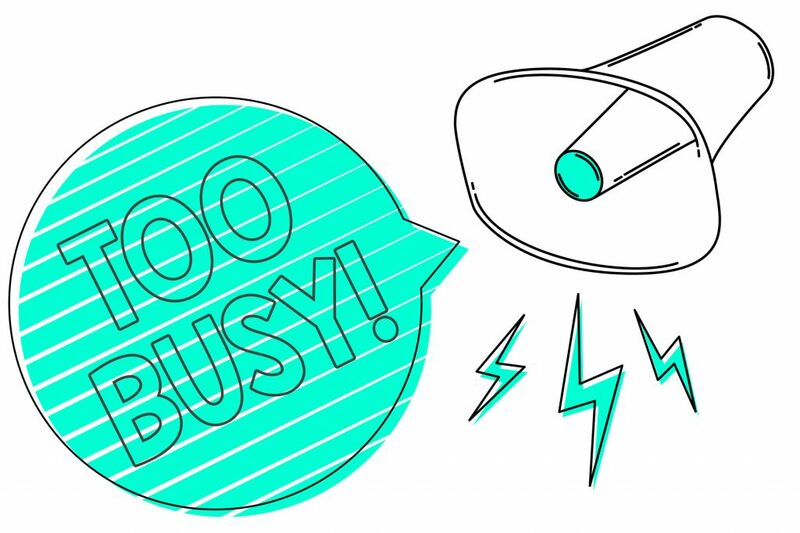 Forget having a well polished elevator pitch, you need an escape strategy STAT! How did I achieve this? 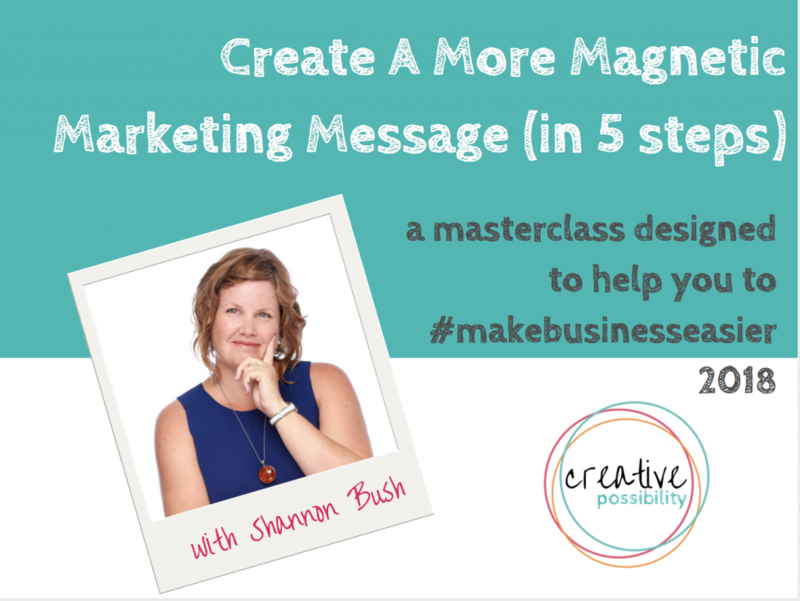 Well it all started with a big realisation about the core of marketing. Marketing is all about relationships. Once I wrapped my head around this I was able to approach networking very differently. My primary purpose of networking now is to build awesome relationships. Networking as a marketing strategy has become the way I do things. It’s an unconscious activity with conscious, purposeful intent. This includes a desire and intent to expand my contacts. To literally grow my network. I see this as an ultimate win for my clients because I can refer them to the brilliant people I meet and get to know! This value add also has proven to lead to more clients for me, so one of those win/win situations bandied about. They exist. 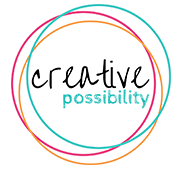 I created one in my business. I created one out of an activity I used to dread. Relationship building means getting out and meeting people. It means being the person who says hello first and who shows genuine curiosity to find out about the person or group you’re talking to. It’s remembering that if you don’t ask it’s always no. It’s also about nurturing and valuing your network so they, and your networking activity become the asset they deserve to be. This is how I’ve built my business from it’s early days and it is definitely how I have managed to still be here more than a decade in. 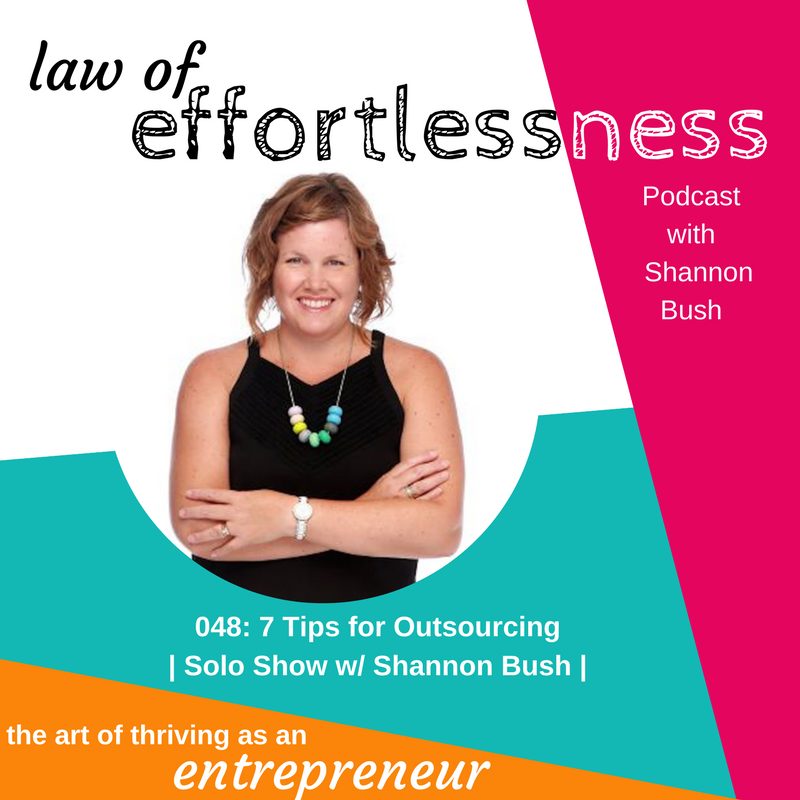 Look out for a future solo show on my podcast, Law Of Effortlessness, where I share my top tips for creating and nurturing your referral network, a super key part of maximising the potential of your networking as a marketing strategy! Click on the image below to access the training. This entry was posted in Articles, Business Success, Business Wisdom, Magnetic Marketing, Mindset, Small Business, Success Resources and tagged business coaching, business coaching Perth, Creative Possibility, magnetic marketing, marketing, marketing strategy, networking, online marketing strategy, Shannon Bush on March 2, 2018 by Shannon Bush.